The design of a new terminal facility for private aircraft needed to address a number of challenges. 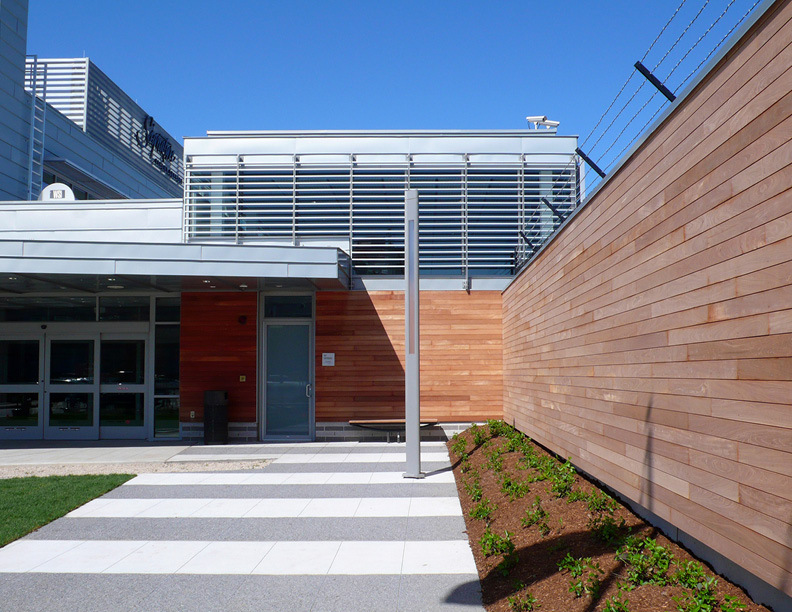 Located on the outskirts of the airport, the former brownfield site was defined by a 4 meter high concrete blast wall and surrounded by surface parking and service-related facilities. 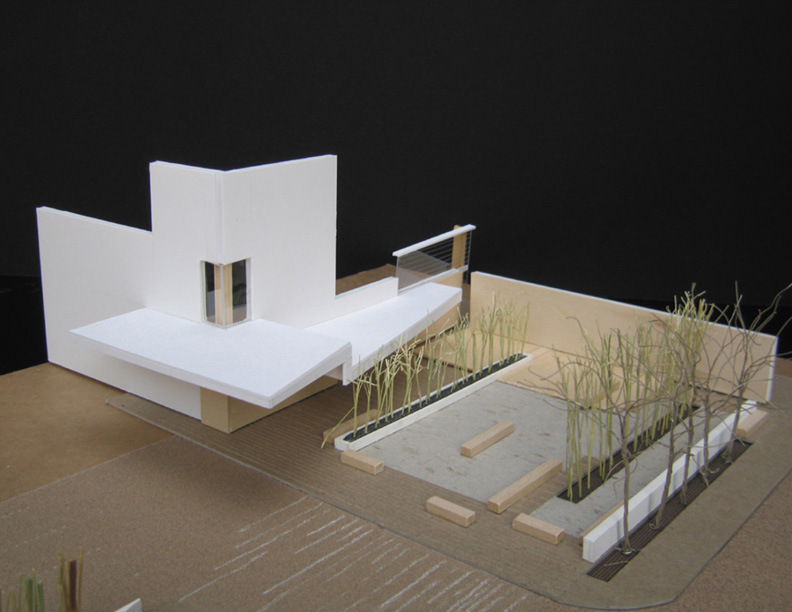 In an effort to establish a sense of arrival, the building was setback from Prescott Street in order to create a garden drop off. Terminal passengers are led under a canopy at the garden into the VIP and waiting lounge with expansive views of the runway. 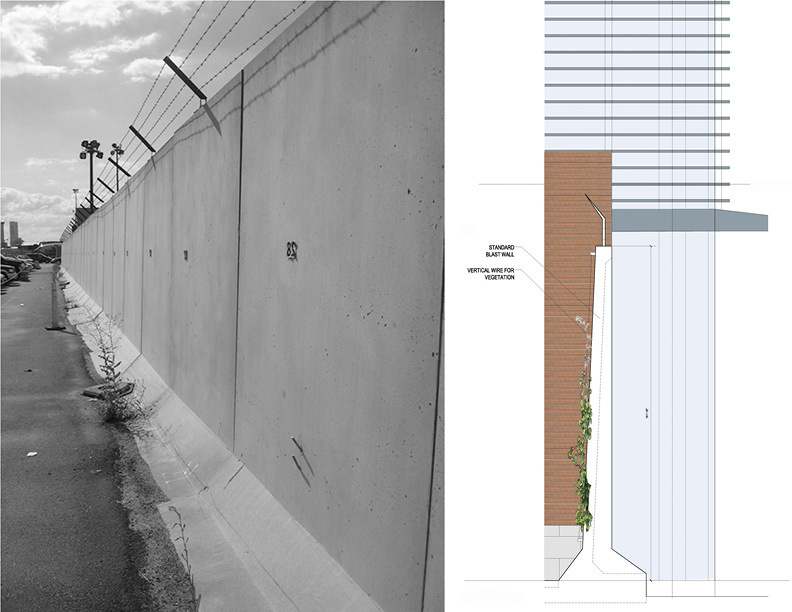 A mahogany wood clad wall masks the concrete barrier that separates the tarmac from the public realm. This facility is LEED certified. 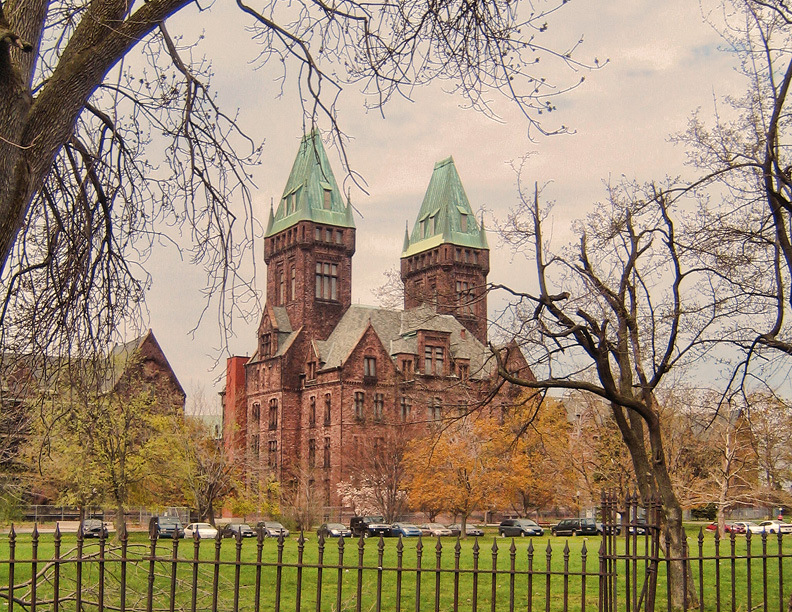 The 19th century Richardson Olmsted Complex - a former Insane Asylum - is a National Historic Landmark. 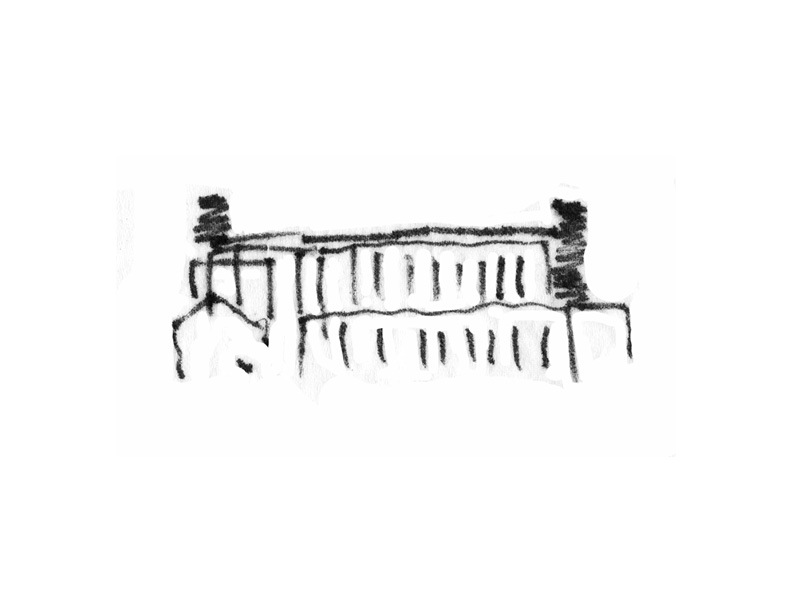 It is also a ruin. 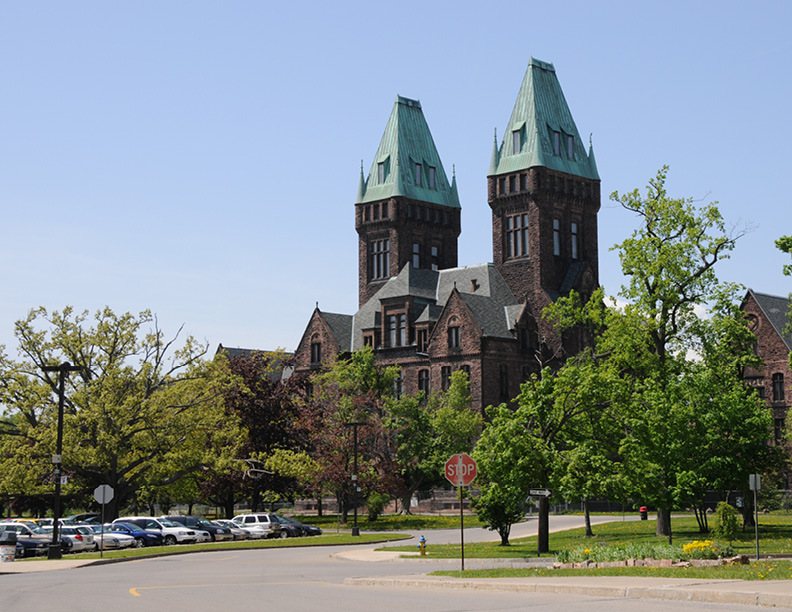 The site’s reuse is being driven by $76 million in New York State funds that is leveraging private investment. The complex has over 400,000sf of vacant space. The Master Plan assesses the H.H. 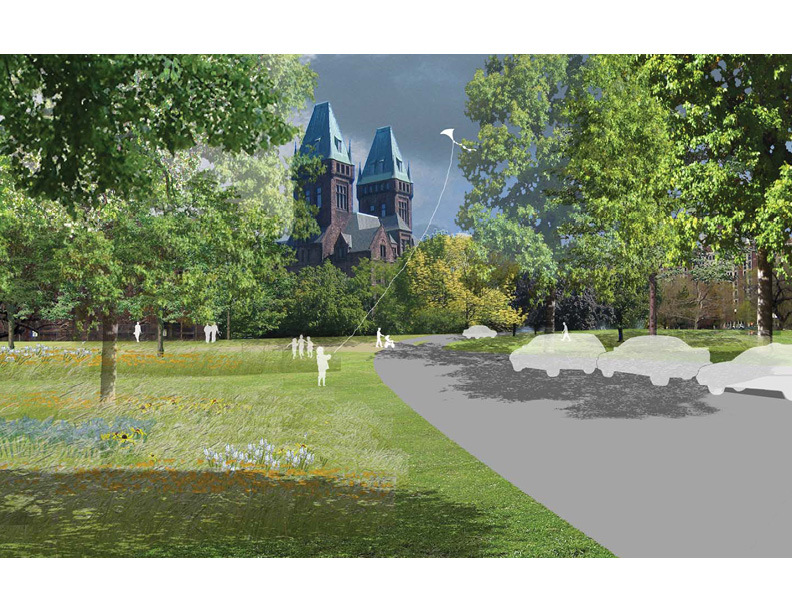 Richardson designed buildings and Fredrick Law Olmsted designed park and develops a viable reuse plan for the near and long-term rehabilitation of the site. 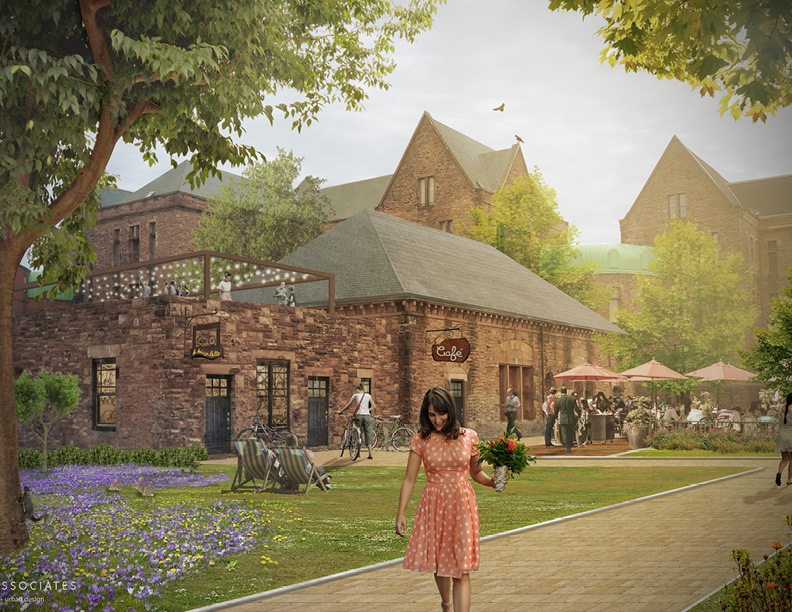 The Master Plan developed a series of new uses that can act as catalysts for redevelopment, generate income for the facility and activate both the building and the grounds. 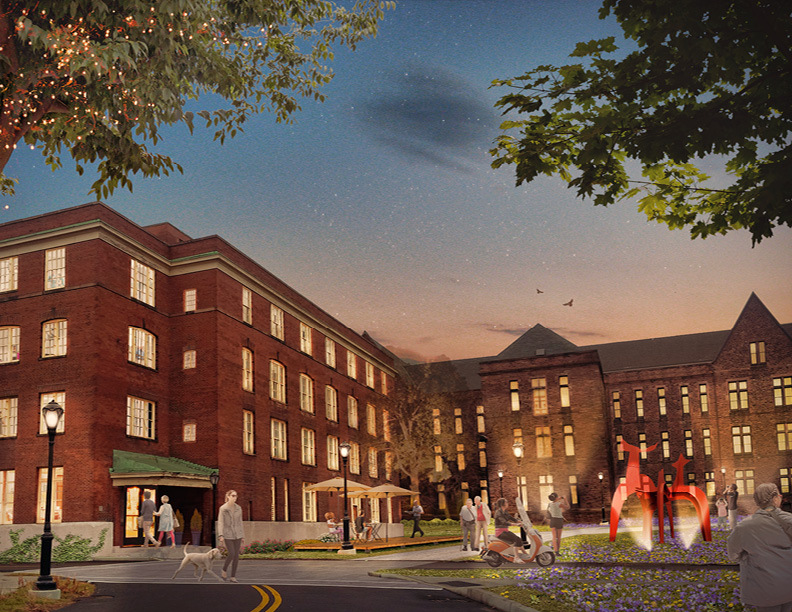 The Summer 2017 opening of the Hotel Henry Urban Resort Conference Center represents the first phase of implementation for the historic Richardson Olmsted Complex after a decade of planning and construction. 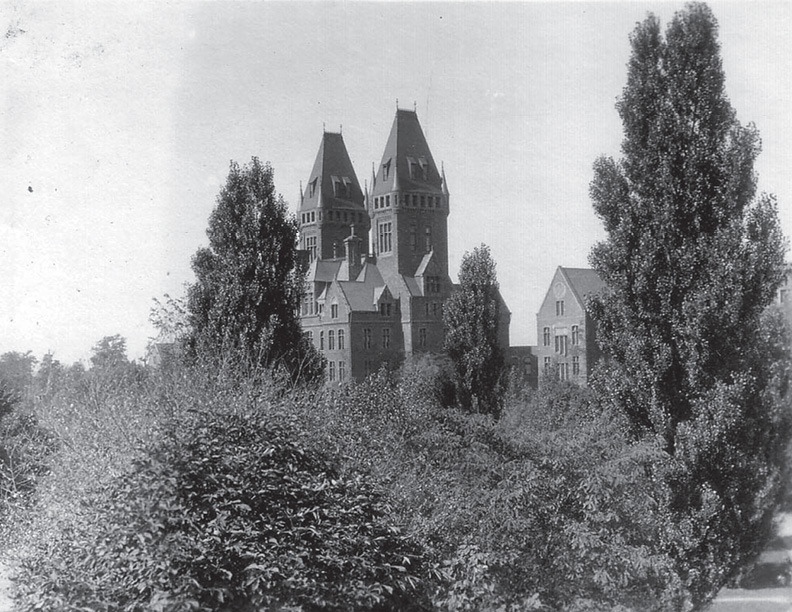 However, the rehabilitation of the central tower and adjacent two wing buildings only represents a portion of the complex. 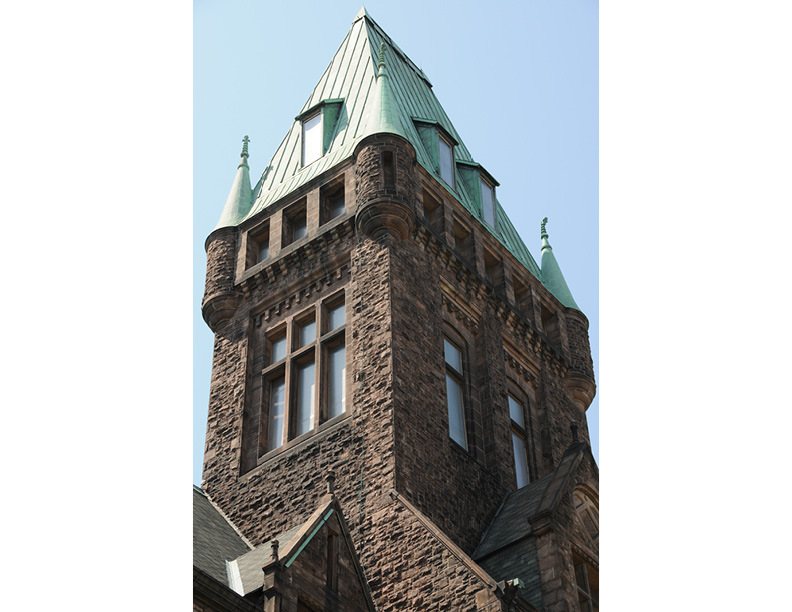 An additional 10 buildings with a combined 300,000 square feet remains unoccupied and in various states of disrepair. 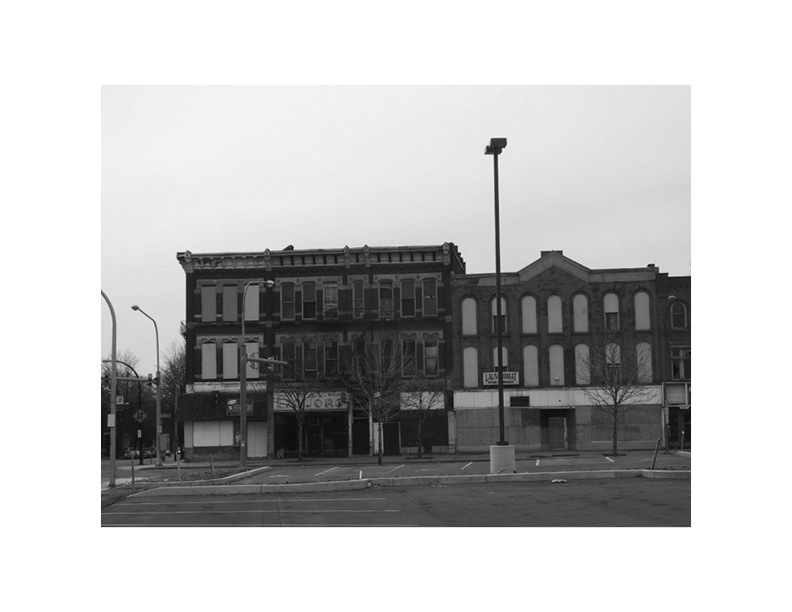 While these vacant buildings have been stabilized, a development partner is needed to ensure that the first phase of redevelopment does not languish. 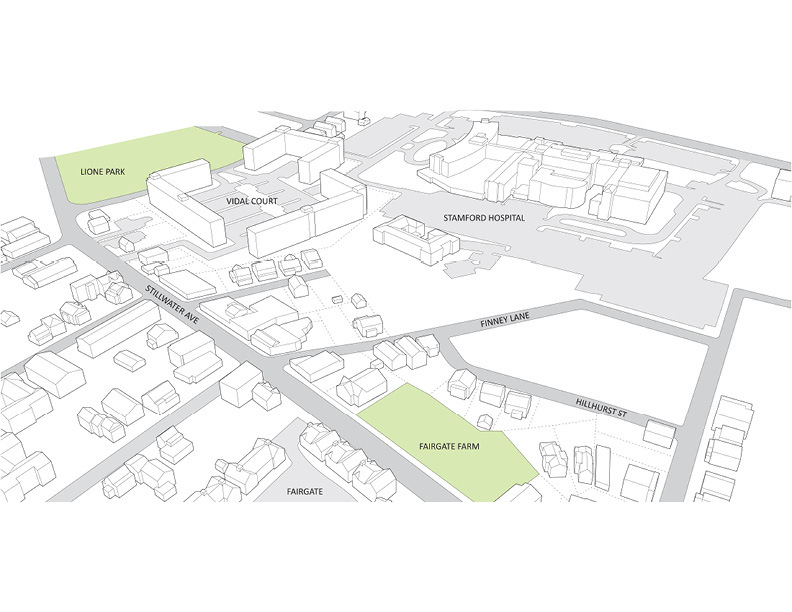 A mixed-use community that is integrated physically and functionally into the overall campus is needed to transform the complex into a unified campus. 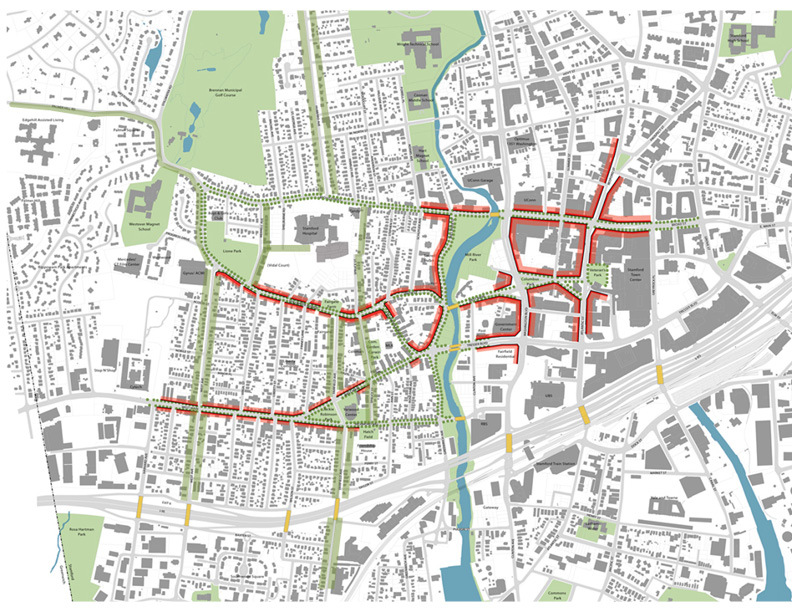 Adjacencies of the new Hotel and Conference Center to a vibrant Elmwood commercial corridor, an emerging Arts District and Buffalo State College suggests a mix of uses divided into different clusters. 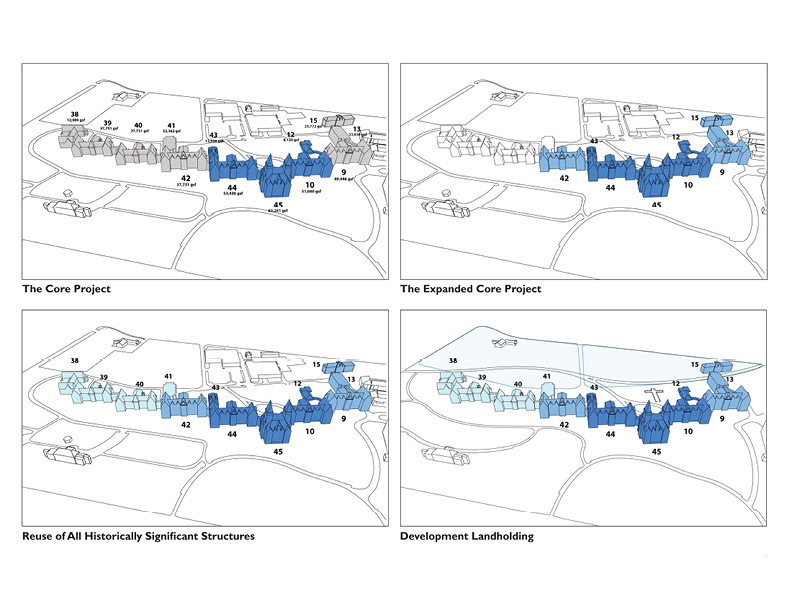 By subdividing the complex into three different areas, a range of development partners can be identified. 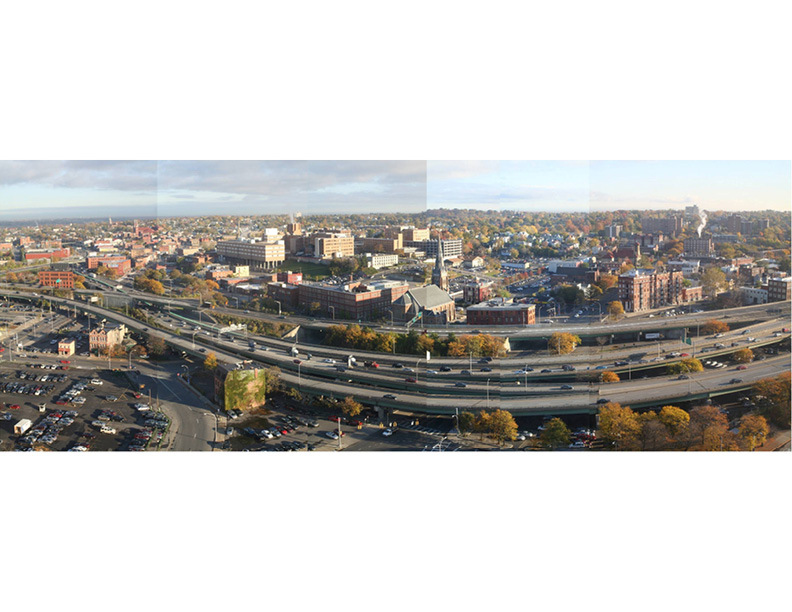 Stamford’s Westside is the most diverse and economically-challenged neighborhood in the city. 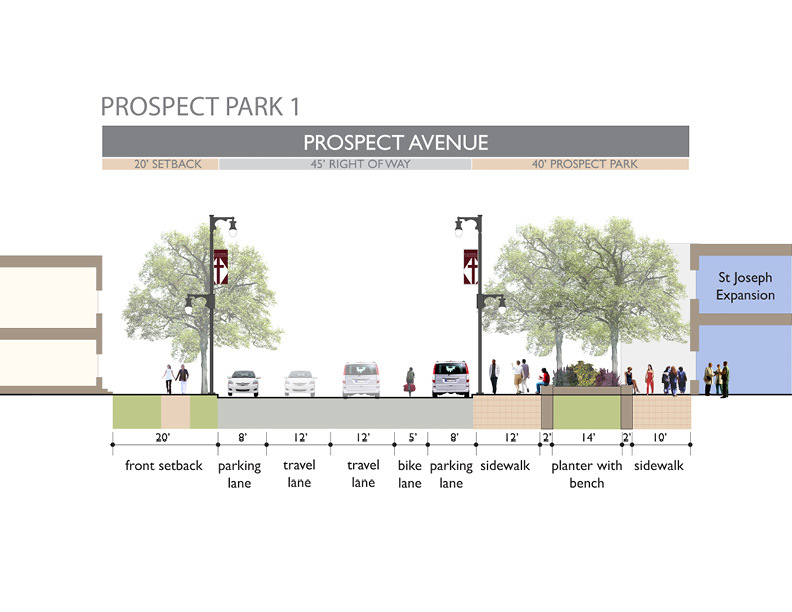 Stillwater Avenue, the community’s main commercial corridor, is poised for transformation as the region’s primary hospital doubles its footprint in the direction of the neighborhood‘s commercial corridor of Stillwater Avenue. The Vita Health and Wellness District provides a framework for growth that links the hospital expansion to the West Side. Working with the community leaders and small business owners, the plan integrates existing shops, urban agriculture, and community aspirations with innovative outreach by medical professionals. A new Health and Wellness building provides fitness, education and training surrounded by residential uses. 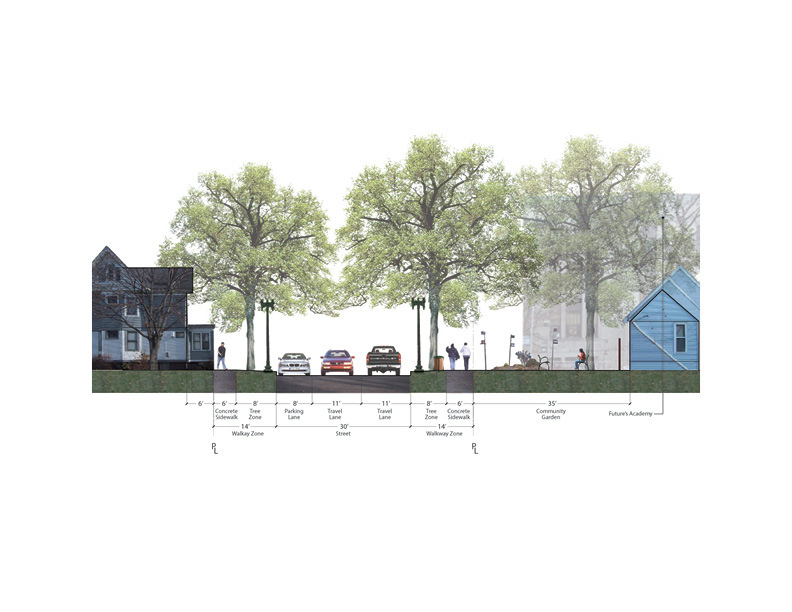 An open space setback links the hospital expansion to the existing community farm along a new road. A new consortium of health-care related institutions have come together under a single entity to compete nationally. 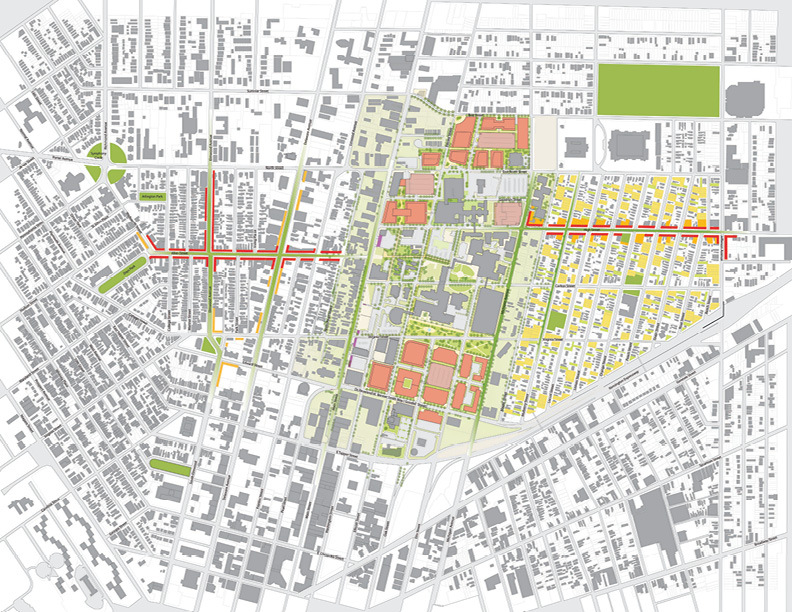 The absence of prior organized growth amongst the institutions and poor connections with adjacent neighborhoods required the need for a master plan. 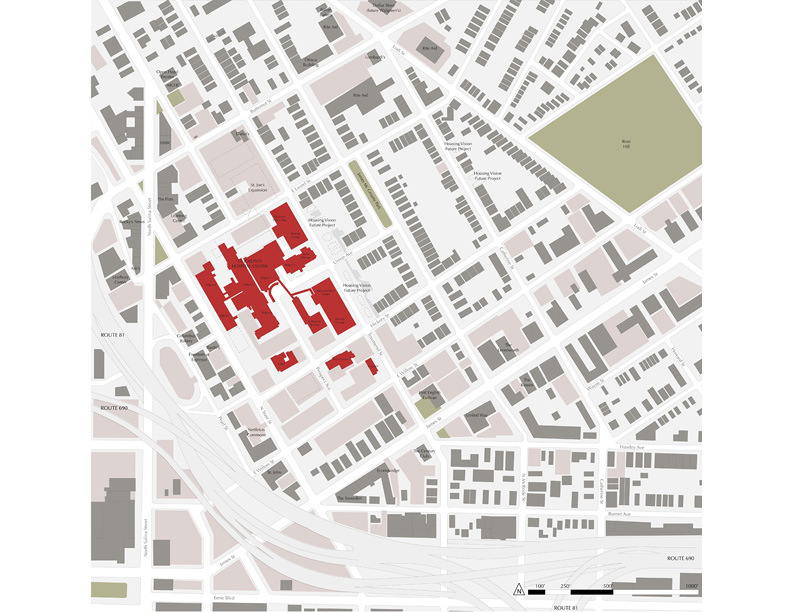 In an effort to densify the campus, underutilized parcels already under the control of the institutions are targeted for redevelopment. 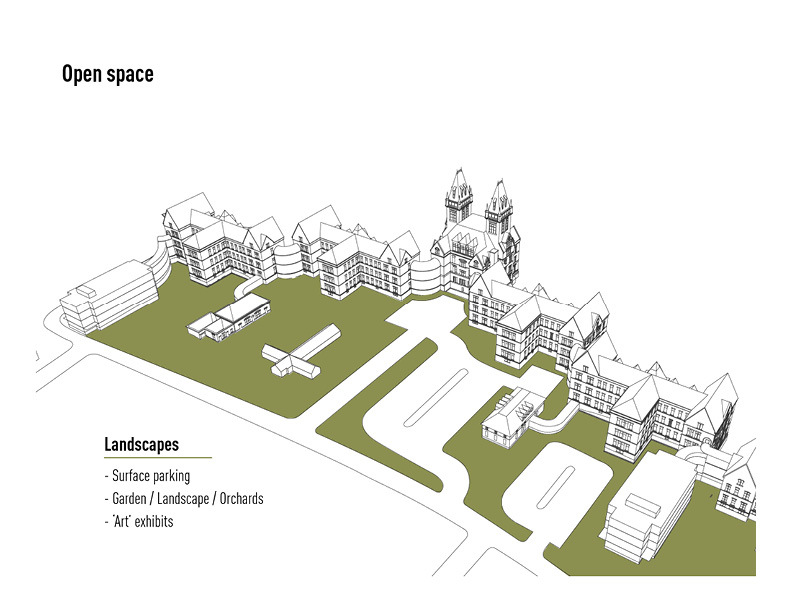 Major growth can be accommodated within the current boundaries of the campus, allowing shared community uses and infill development to occur on the seams with the neighborhoods. 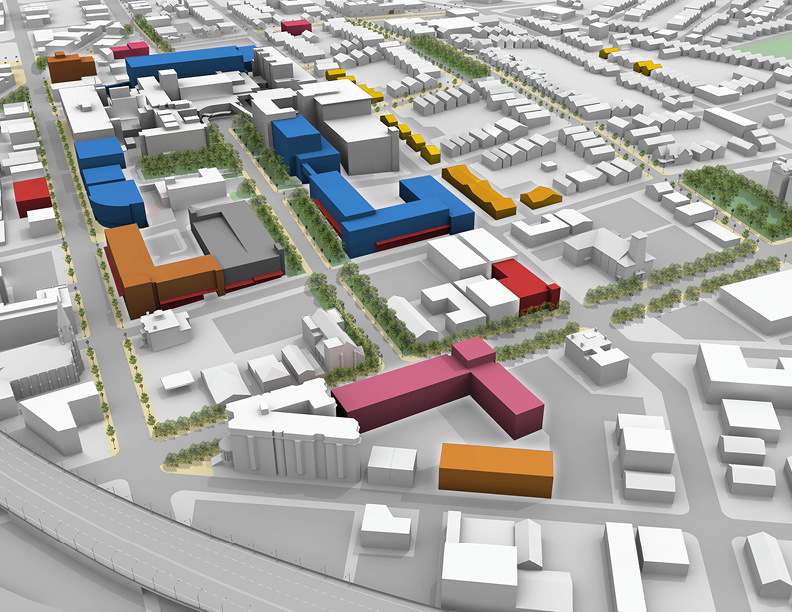 Ellicott Street – currently a tertiary street - links opportunity sites and becomes the new campus spine, creating an address and corridor for existing and future medical facilities. 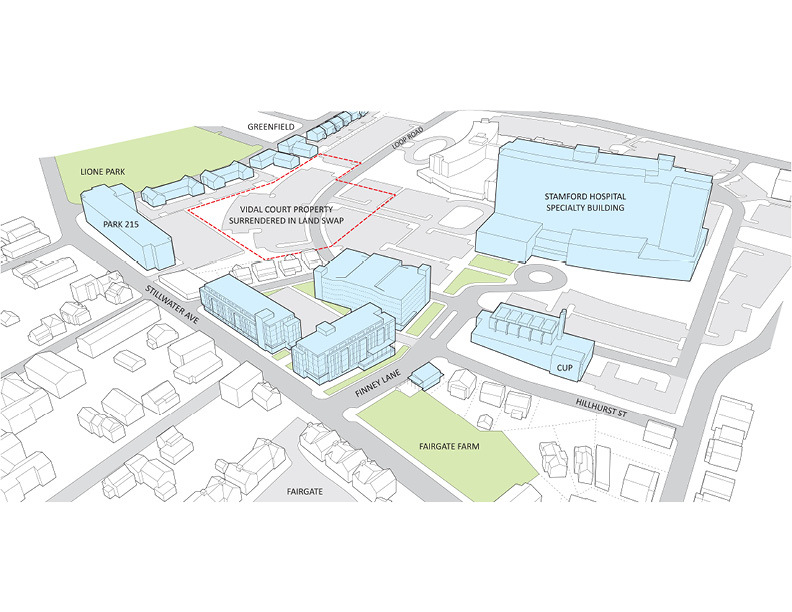 A neglected neighborhood surrounding the hospital is seeking ways to benefit from its close proximity to the campus, strengthen connections and creating redevelopment opportunities. 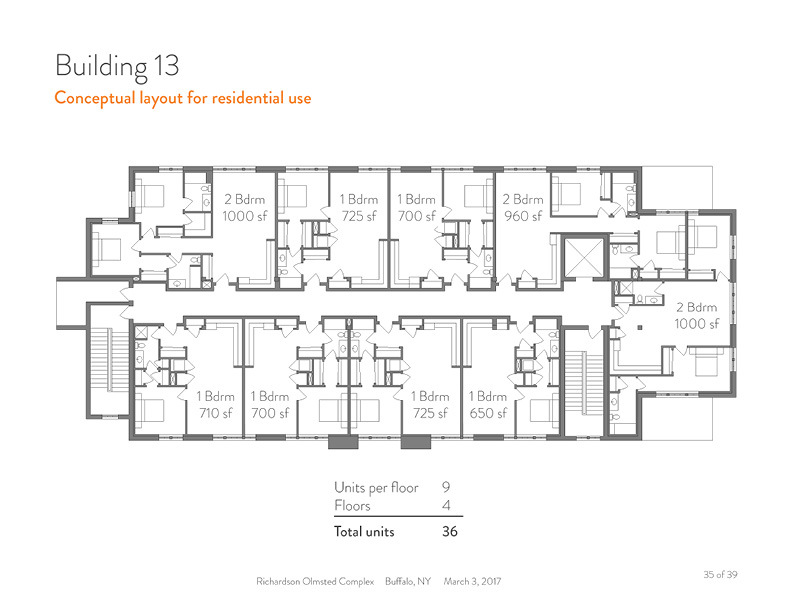 An open space framework is introduced into the medical campus that fosters connectivity with the adjoining neighborhood fabric. 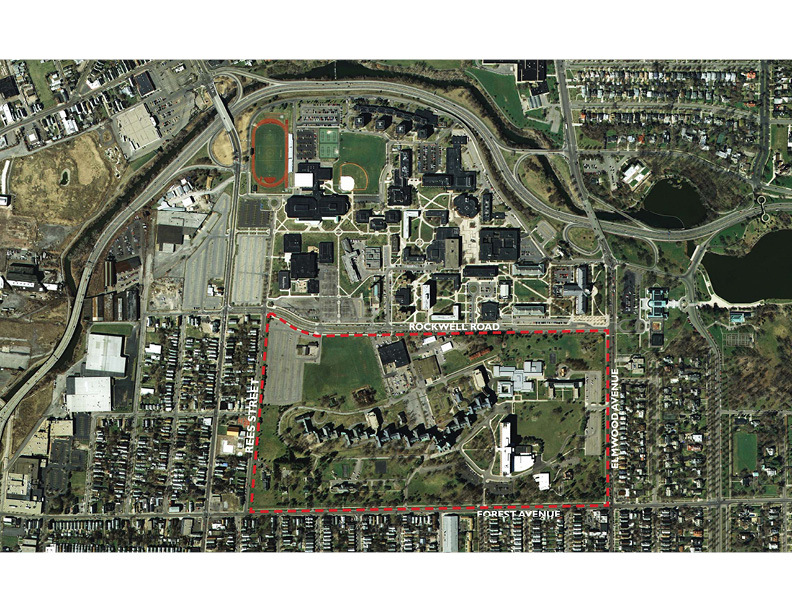 Soft redevelopment sites are assembled in areas between the campus and the neighborhood that create new development opportunities with programs that benefit the hospital, private development and new research facilities.